The T-Bone DLC does not contain new missions. It contains an additional co-op difficulty mode. It’s a new difficulty included on missions already available in the main game. 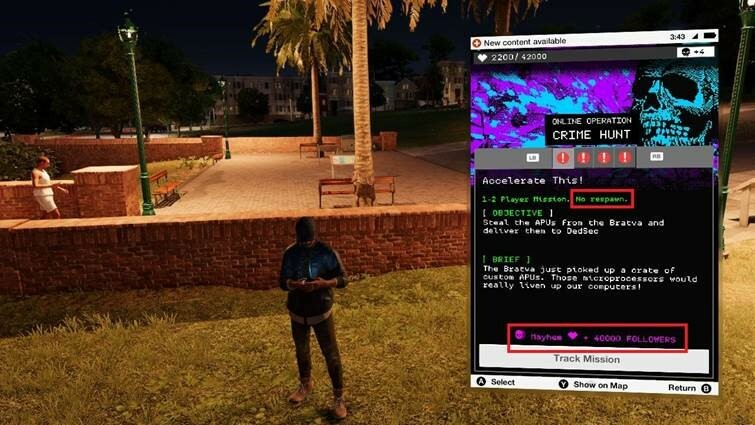 To unlock this content, you must first finish the mission: Walk in the Park. 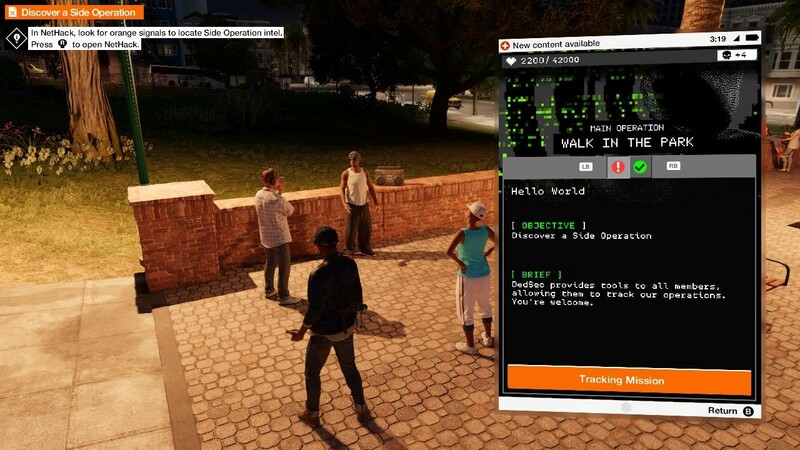 After completing Walk in the Park, you will see a new icon on the map and in the DedSec App: Mayhem difficulty. 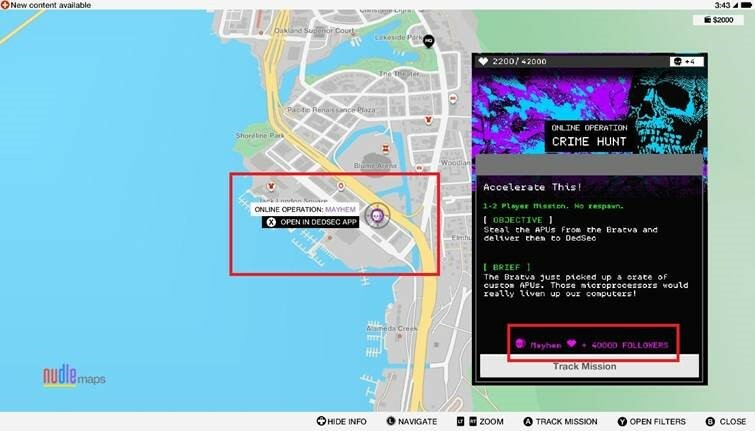 One Mayhem mission is always present for the player who owns the T-Bone DLC. The Mayhem difficulty has the same settings of the missions already available in the main game. Mayhem is an increased difficulty with a new archetype: the grenadier. Mayhem implements perma-death. When one player dies, he cannot respawn. It is up to the other player to either complete or fail the mission.